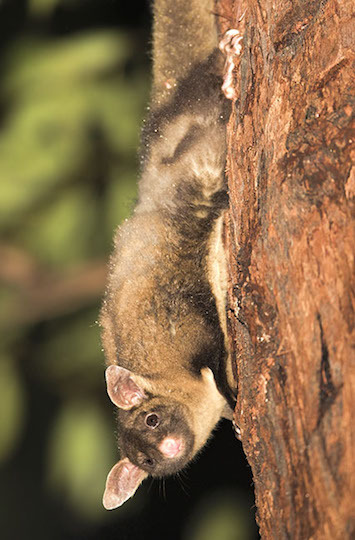 Yellow-bellied gliders are large arboreal marsupials from mesic forests in eastern Australia. 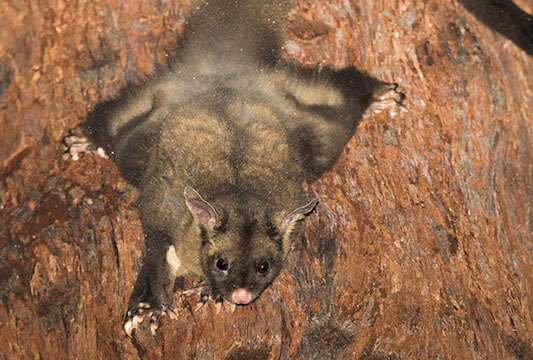 As shown here, they often feed on tree sap, obtained by biting holes in bark with their sharp teeth (these holes often attract other gliders, such as sugar gliders and feather-tailed gliders). These were photographed in tall eucalyptus forest near Mt. Hypipamee in far north Queensland.